The exhibition Icons of Modern Art. The Shchukin Collection opens on October 22, 2016 and runs until February 20, 2017. 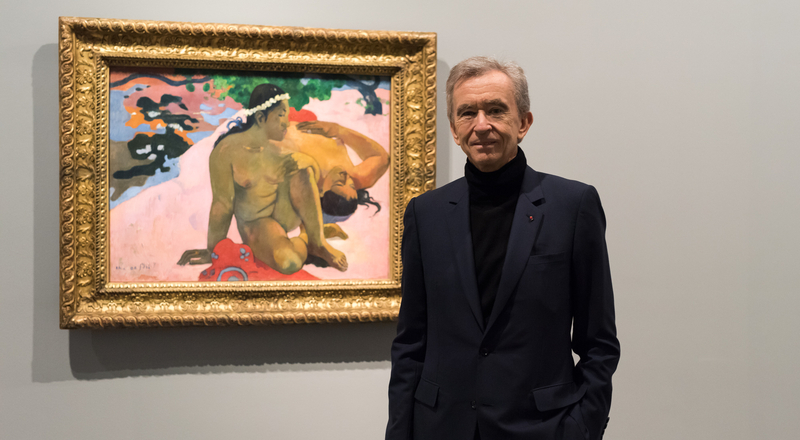 Bernard Arnault shares his insights on the renowned art collector Sergei Shchukin and the exceptional collection he created. The exhibition Icons of Modern Art. The Shchukin Collection, which we are extremely proud to present at the Fondation Louis Vuitton, offers me an opportunity to pay tribute to the legacy of one of the greatest collectors and patrons of modern art of the early 20th century, Sergei Shchukin. His passion, his visionary taste, his personal relationships with artists who defined modern art, and his commitment to creating a “gallery of paintings dedicated to the education of the public” constitute an exemplary model of private philanthropy in the area of art. A prominent Moscow industrialist, Sergei Shchukin in 1898 became an early member of the Paris circle supporting impressionist, post-impressionist and modernist artists. With great passion, he set about forming an exceptional collection of some of the most avant-garde art of his time. Modern art was at the dawn of an extraordinary period of influence that spanned the entire 20th century, and Shchukin was a pioneering proponent. Keenly aware of the innovative – and sometimes provocative – nature of the works he had collected, Sergei Shchukin ensured that they would be widely accessible by opening his galleries to the general public in 1908. Art lovers, artist and intellectuals alike visited the collection, contributing to early discovery of the French avant-garde and significantly influencing contemporary artistic creativity in Russia. Personally, I see Sergei Shchukin’s commitment as a patron and indeed militant supporter of the most innovative art as an example and approach to be emulated. His fiery devotion to modern art is clearly echoed in the passion with which his legacy is celebrated by his grandson, André-Marc Delocque-Fourcaud, who has overcome numerous obstacles to realize the dream of presenting his grandfather’s collection – displayed together for the first time in Paris – in close coordination with the Hermitage Museum in Saint Petersburg and the Pushkin State Museum in Moscow, where the majority of the works are held. The exhibition Icons of Modern Art. The Shchukin Collection counts iconic masterpieces by Monet, Cézanne, Gauguin, Rousseau, Derain, Matisse, Picasso and others. Following the discerning suggestion of our Russian friends, we also wanted this exhibition to include a dialogue between these masters of modernity and the young generation of Russian avant-garde artists who were shaped by their discovery of the collection in Moscow at the invitation of Sergei Shchukin. Displaying these works together recreates the shockwave – both emotional and in the artworks themselves – triggered by the collection. It is most certainly no understatement to say that the quality of the works displayed makes this a truly historic exhibition. For the LVMH Group, this event also continues nearly 25 years of corporate philanthropy partnerships with leading museums in France and around the world. The Fondation Louis Vuitton will present the most emblematic works from a major modern art collection together for the first time in nearly a century. The historic nature of this memorable exhibition marks a decisive milestone in deploying the artistic vision of the Foundation.